The advent of GDPR has underlined that privacy matters. 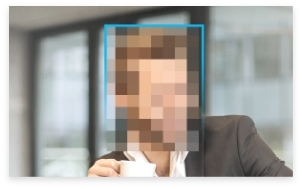 Redactor blurs faces and license plates in videos automatically and enables human editing of any other identifiable information. Available as a plug-in for cloud services, or as a stand-alone product for Linux or Windows servers. For desktop, client-server or cloud, the latest version of Sighthound Redactor adds more classes of automated object detection to reduce manual intervention in video redaction. In addition to finding faces, Redactor 3.0 detects people, cars, trucks, buses, motorcycles and license plates. 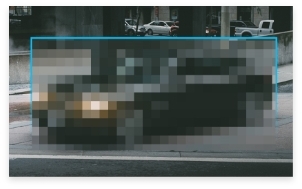 Redactor automatically blurs faces and license plates in videos automatically with a single click. Additionally, allows human editing of any other identifiable information. Advance computer vision built in. 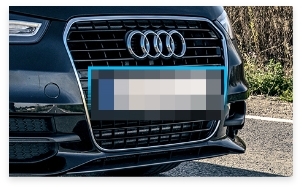 More than just faces; Detect people, vehicles, and license plates to automatically redact or box with minimal effort. 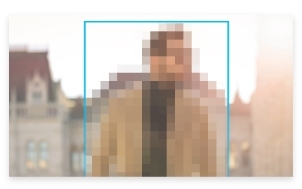 Beyond standard pixilation and blur, Redactor detects objects and provides ability to "Outline", "Fill", "Mosaic", "Blur", or "Pixelate" any detection. Redact audio with a simple intuitive audio waveform. Allowing "mute" or "beep" of sensitive audio information. Detect and follow the location of an object from frame to frame throughout the video as they leave and enter the frame. Greatly minimizing the margin of error often created by manual detection. Small object detection is very difficult, but Sighthound Redactor is powered by the Sighthound.io platform. The most robust computer vision platform on the market. Entering a valid e-mail address below will launch a live trial of the Redactor software. Thank you for entering your information. Click the button below to open the demo version of Redactor 3.0 in a new window. We're sorry but Redactor 3.0 is designed to run on desktop computers. If you are interested in trying the demo, visit this page on your desktop browser. Takes advantage of available nVidia GPU or Intel CPU chips to accelerate deep-learning algorithms. Do more with Redactor 3.0. Below is a comparison to the prior version. Redactor 3.0 can be deployed on Windows 10 running desktop or client-server architectures, on Linux Ubuntu 16.04 running on a client-server architecture, or on your own cloud service provider. Accelerated for Intel chipsets. Automatically blur faces and license plates in street scenes and store security footage. When time is of the essence, remove all identifiable face information from broadcast footage quickly. Security video and staff training video needs to protect patient privacy. A tool so easy anyone can use it.